TestIT2011!, the sixth An elegant beauty with broad appeal - that’s how MSI sees the A6400. So the notebook should be an all-rounder, a typewriter, number cruncher, and DVD player in one, and able to handle some older games. 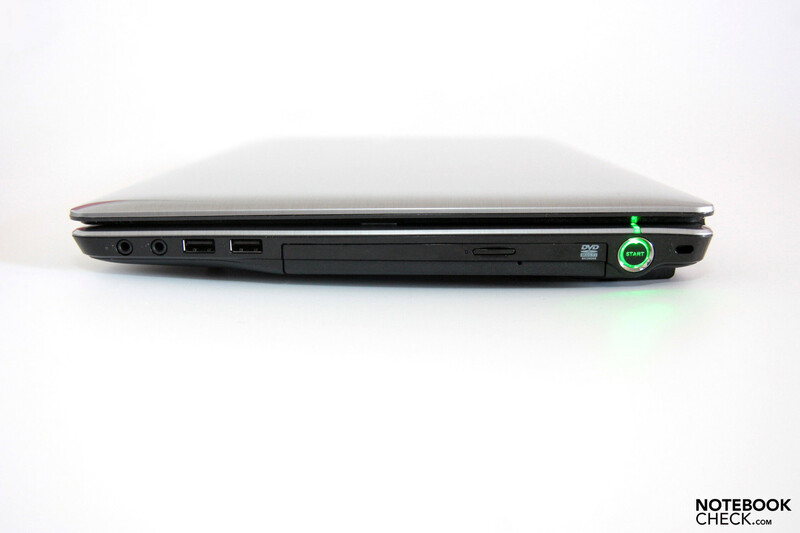 We find out whether the notebook’s hardware and software are as impressive as its appearance. Update: Now a reader could also form his own opinion about the tested MSI laptop as a part of the Intel TestIT!2011 campaign. An equally built device was in the test so that the previously made assessments could be used as a comparison basis. Our reader and reporter's impression can be found at the end of this review's verdict. These days there’s a very wide choice of well-equipped, reasonably priced notebooks for the ordinary buyer. On paper, the A6400 Ci507 S from MSI looks like another attractive offering. 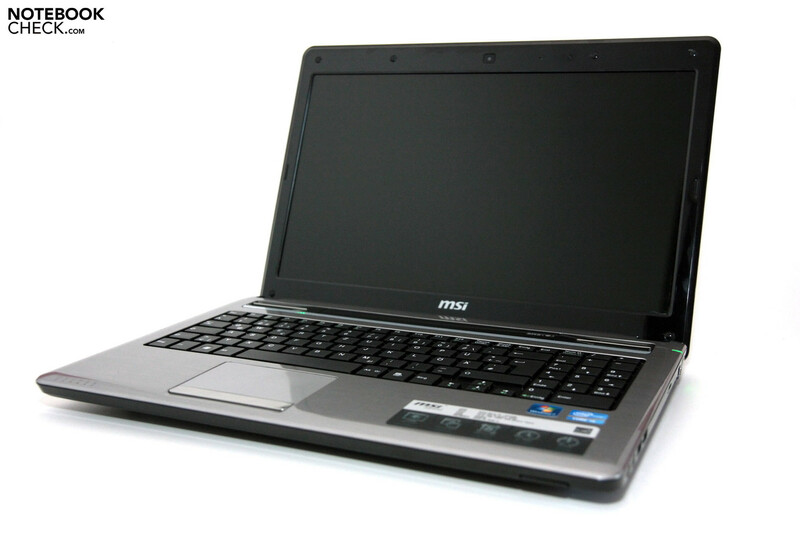 The laptop is part of the Taiwanese manufacturer’s mainstream C series, and is intended to be an all-rounder with a broad appeal. At first glance, it doesn’t look like MSI has economized on this notebook at all; for only 519 Euros you get a mid-range, second-generation Sandy Bridge processor, all wrapped up in an aluminium-look case. It even comes with two USB 3.0 ports and HDMI. Why pay more for a new laptop? A 64-bit version of Windows is also included. But do the input devices, screen and keyboard stand up to scrutiny, for this low price? Find the answers to this question and more in our review. There is not much to complain about when it comes to the workmanship of the case. The moderately heavy chassis (2.5 kg) tapers towards the front, in a wedge-shape, which makes it appear slimmer than other machines with a more consistent height. 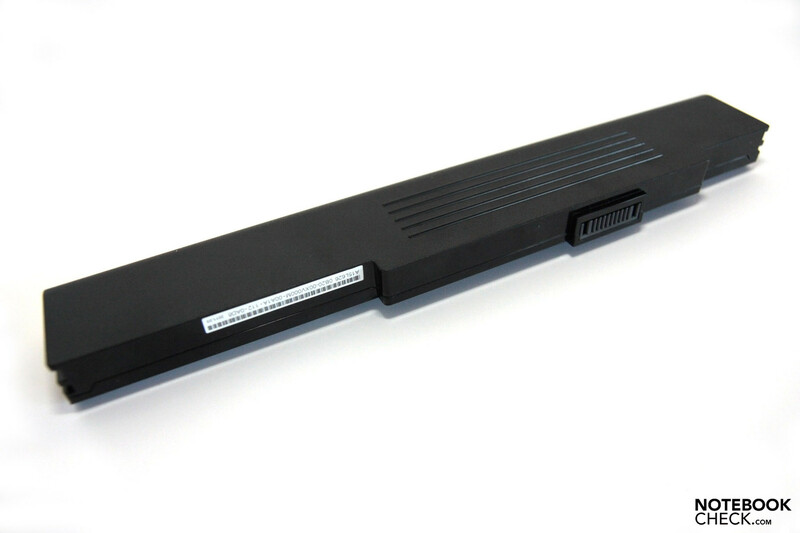 Compared to the previous model the A6200, the case has been made to look slimmer, and some ports which were previously on the back edge, like HDMI and VGA, have been moved to the sides. The base unit seems very rigid overall. It is not possible to twist it when holding it with both hands. Concentrated pressure in the centre of the palm rest does cause the case to flex slightly. 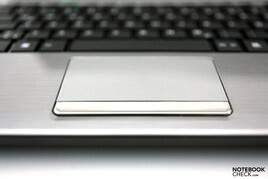 There is also some give in the touchpad and the palm rest themselves when you apply heavy pressure. The area above the DVD drive is very solid. 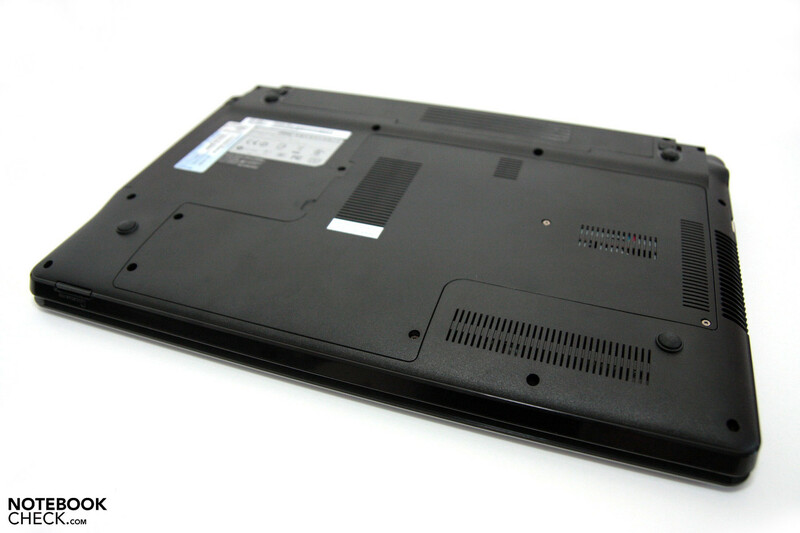 But below the drive, the laptop bottom can be pushed in quite significantly, producing a creaking sound. 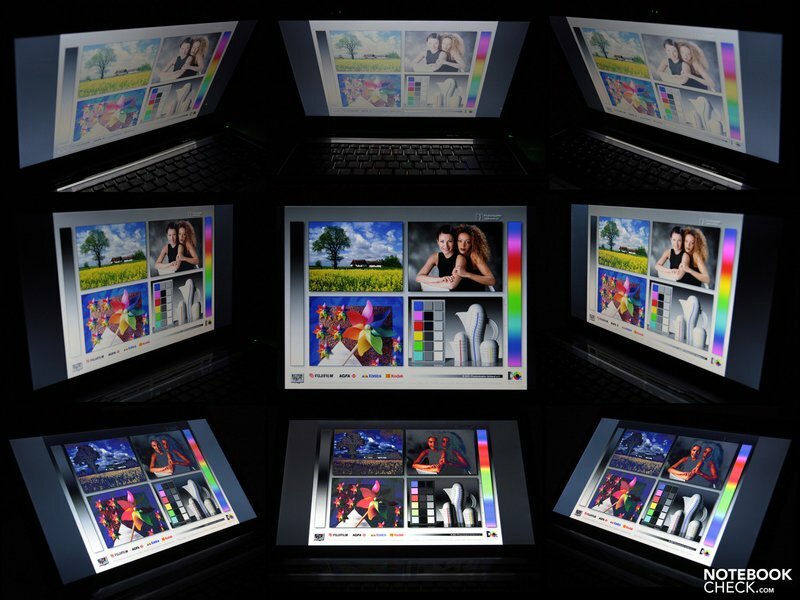 While you are using the laptop on a solid surface, however, you will not notice these problems. 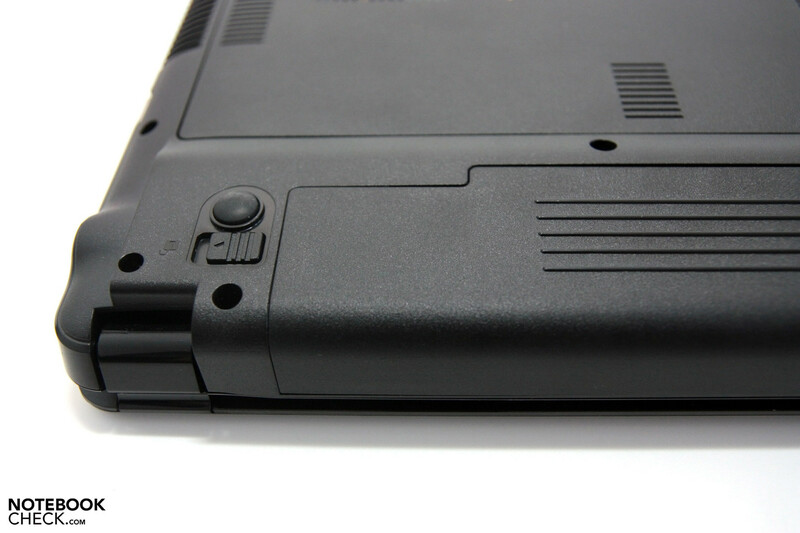 The lid hinges, inset into the body of the case, hold the screen firmly in its open position. 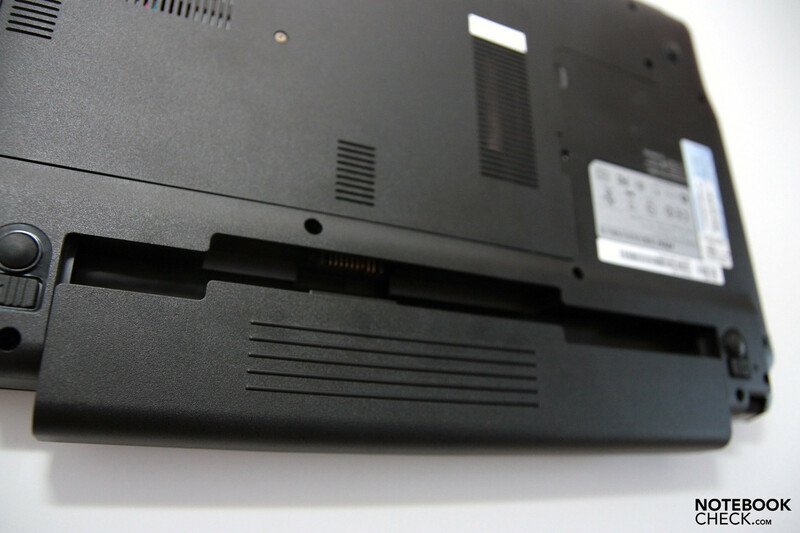 The hinges are so tightly connected to the base unit that it is not possible to open the laptop with one hand. Despite this, the lid does tend to wobble during a bumpy car or train ride. In the case of very large bumps, the lid can slide backwards from its original position. The lid itself is more convincingly sturdy. It is possible to twist it, holding a corner in each hand, but not excessively. 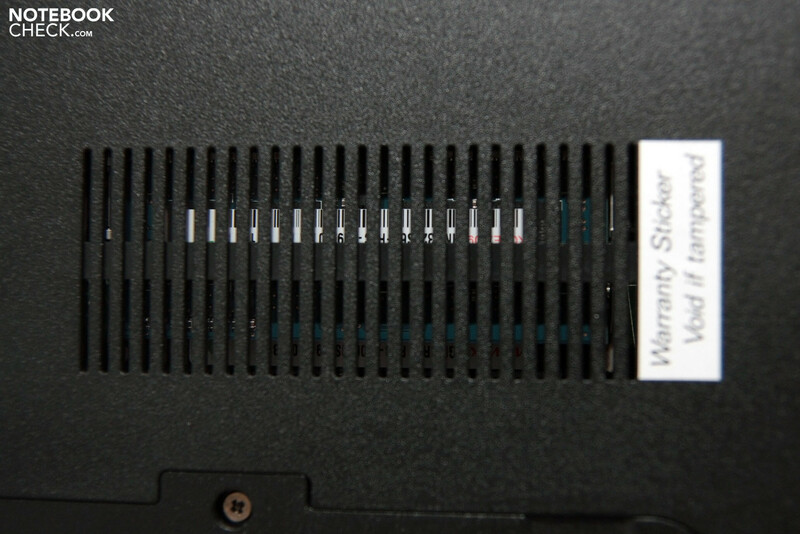 The panel is well protected by the top two thirds of the lid; but in the lower third, concentrated pressure on the back of the lid quickly produces inverted colours on the screen. The plastic lid has a brushed aluminium-look finish. 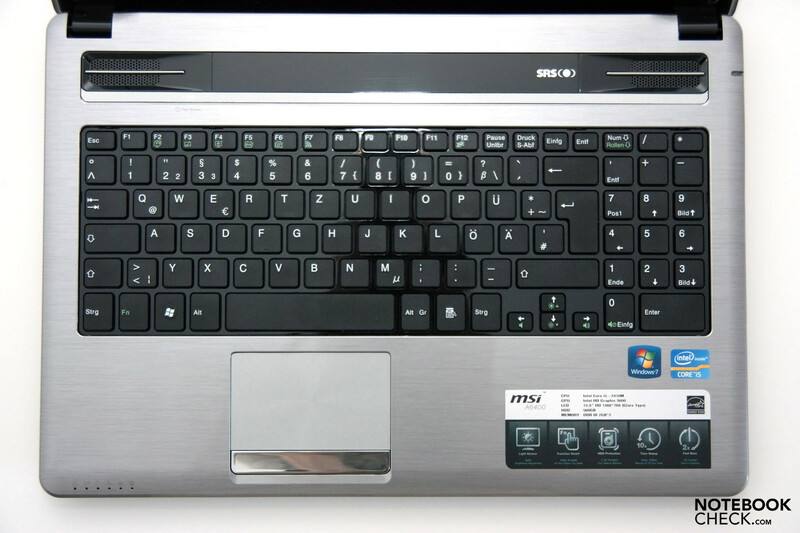 The glossy plastic surface attracts greasy fingerprints is susceptible to scratches. 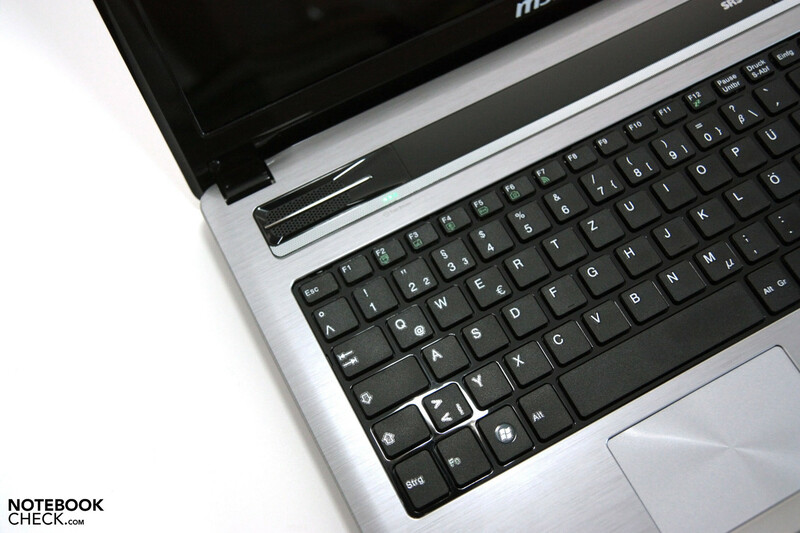 The palm rest and the keyboard surround are also made of this plastic. The range of ports on the MSI A6400 Ci507 S is appropriate for the price. There are four USBs for connecting peripherals, and two of them are even USB 3.0., which is by no means a given for a laptop in this price range. 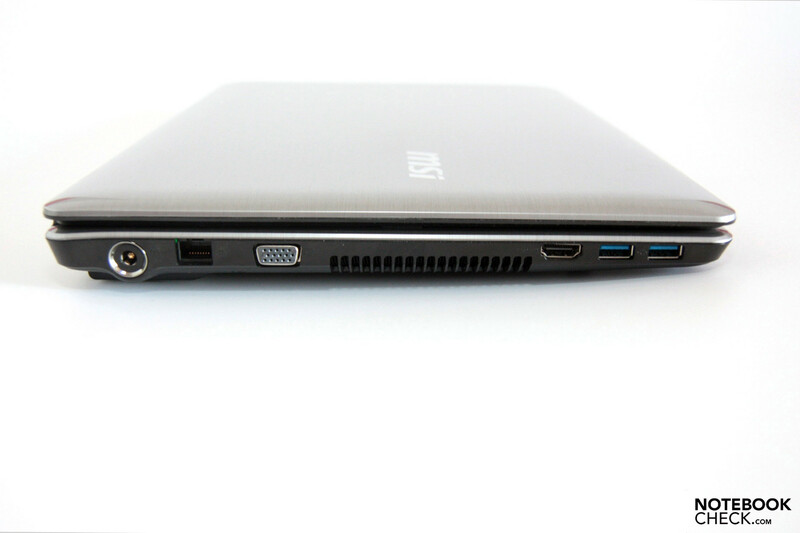 It also has a 7-in-1 card reader, the usual VGA port and an HDMI port. The USB ports are evenly split between the two sides. On the left side, the two USB 3.0 ports are positioned next to the two monitor ports. The two remaining USBs are located on the right-hand side next to the microphone and headphone sockets. The card reader is on the front edge, to the right. 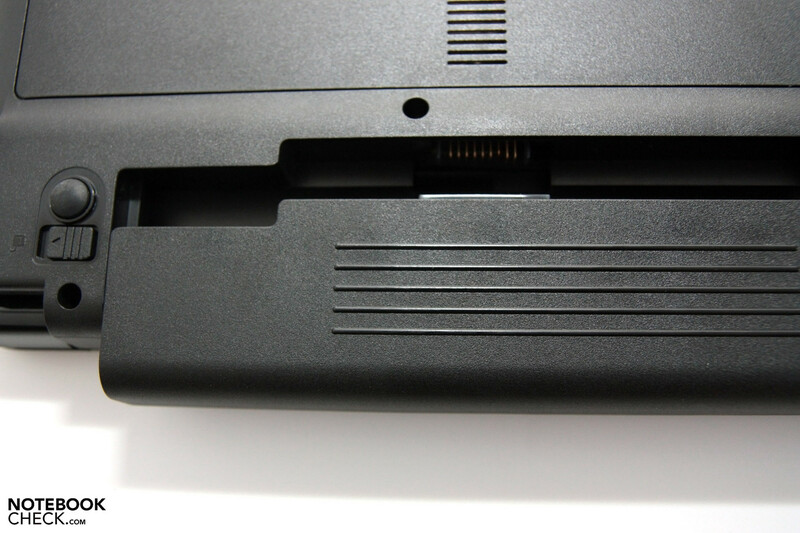 There is no ExpressCard slot. The layout of the USB ports is not optimal. On both sides they are positioned very near the front edge. This makes it hard for the user to direct the cables towards the back out of their way. And on the right-hand side, the USB cables could get in the way of the DVD drive when it opens. 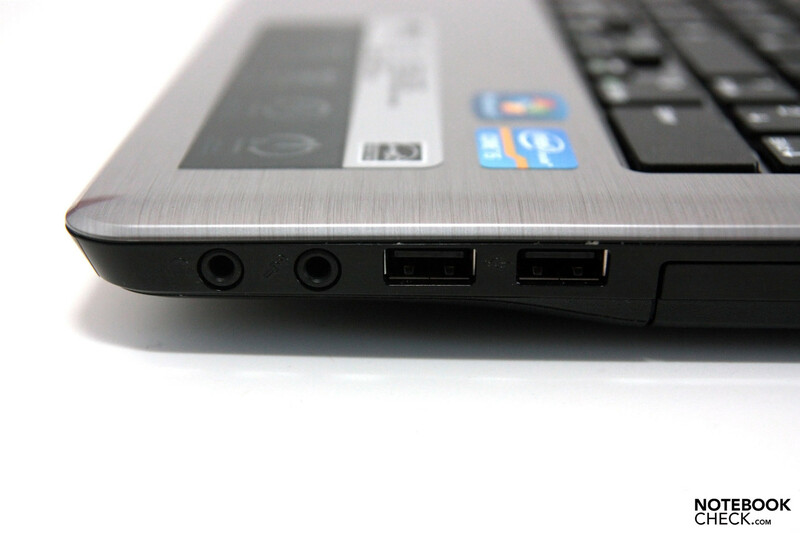 The USBs are also positioned very close to each other, so a thick USB stick could easily block the second port. This model has a good basic set-up when it comes to communications equipment. 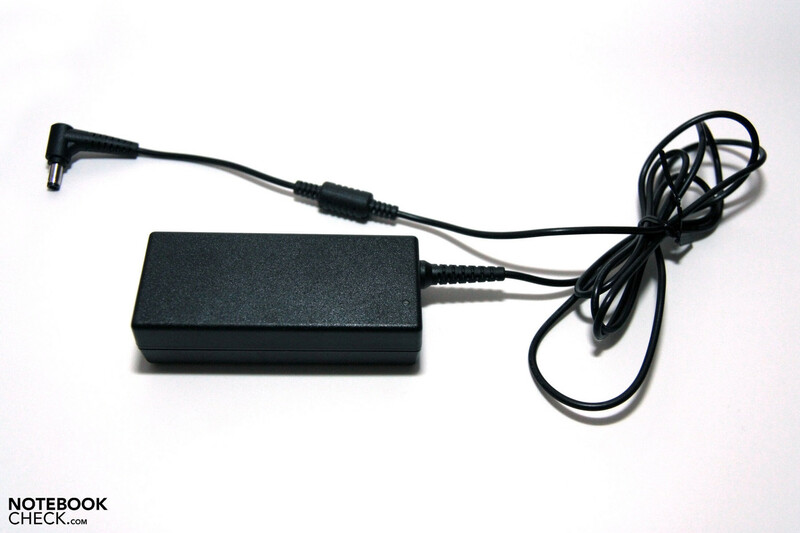 As well as a Gigabit Ethernet port, an integrated Atheros AR9285 wireless adaptor has been included. This supports the WLAN 802.11 b/g/n standard. The notebook doesn’t have Bluetooth. 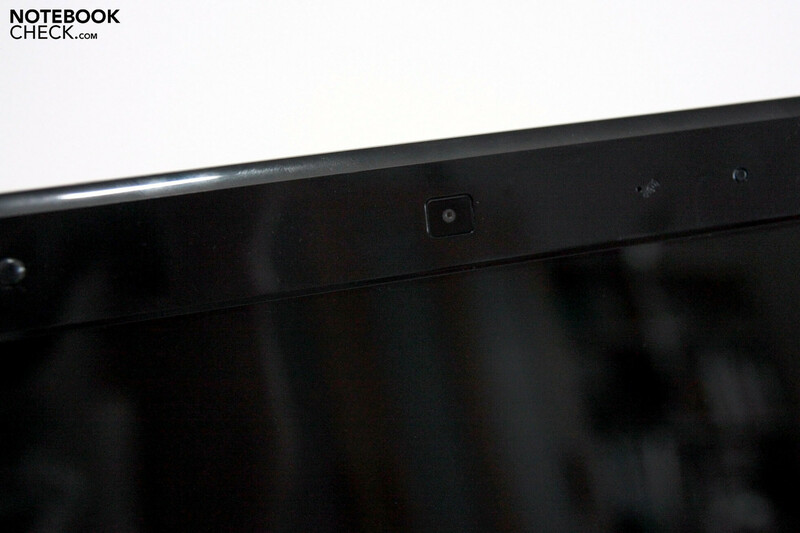 A webcam with a 1.3 MP resolution is built into the lid, along with a microphone, to enable video calls over Skype. Overall the communications hardware is convincing. It would have been practically perfect if Bluetooth had made it into the machine. You only get the basics with this notebook. In the box is a driver CD, a quick-start guide and a warranty booklet. The user has to make a recovery DVD for himself. 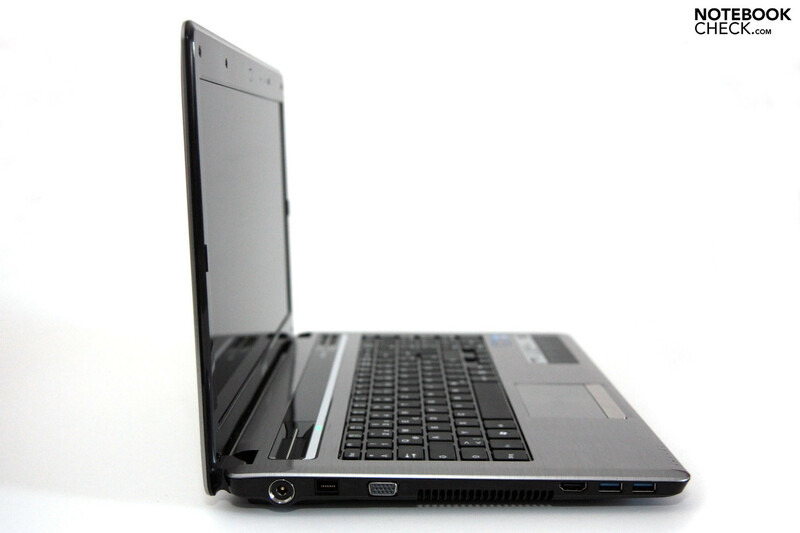 The laptop comes with a two-year factory warranty combined with a Pick-up and Return service. Extended warranties are not available for this model. The keys of this chiclet-style keyboard have a very soft impact and a short travel (around 2 mm). The arrow keys have ended up very narrow, but are still easy to use. The notebook has a separate number pad, which is a big plus if you often find yourself inputting numbers. The Fn functions are marked with green lettering to distinguish them from the rest of the lettering in white. The keyboard is robust and does not flex during typing. 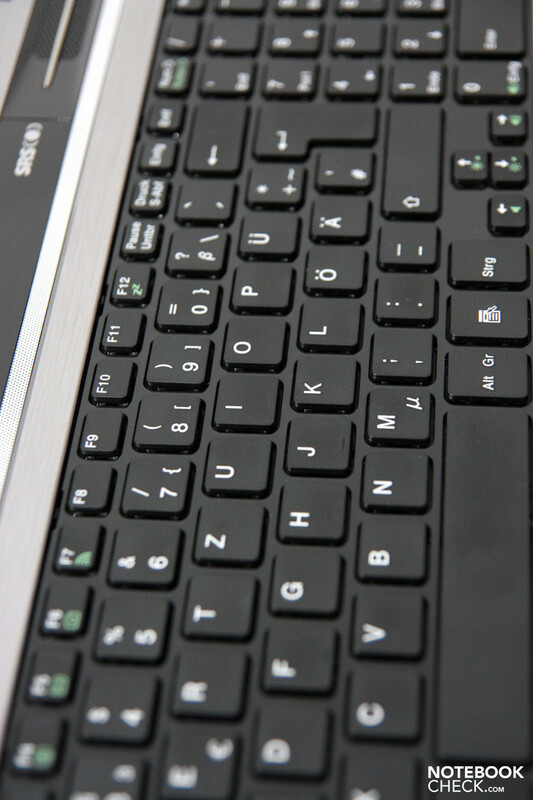 The grid of glossy black plastic between the keys could turn out to be a drawback over time. It quickly picks up dust and fingerprints and is difficult to clean. The Sentelic touchpad is a good size, at 85 x 57 mm with a 98 mm diagonal. It is sensitive right up to its edges and it supports a couple of multi-touch gestures. For example, you can zoom in or out on pictures using two fingers. Vertical scrolling works, somewhat unusually, by tapping in the top or bottom right-hand corner of the touchpad. The surface is slightly roughened by a circular rippling pattern. 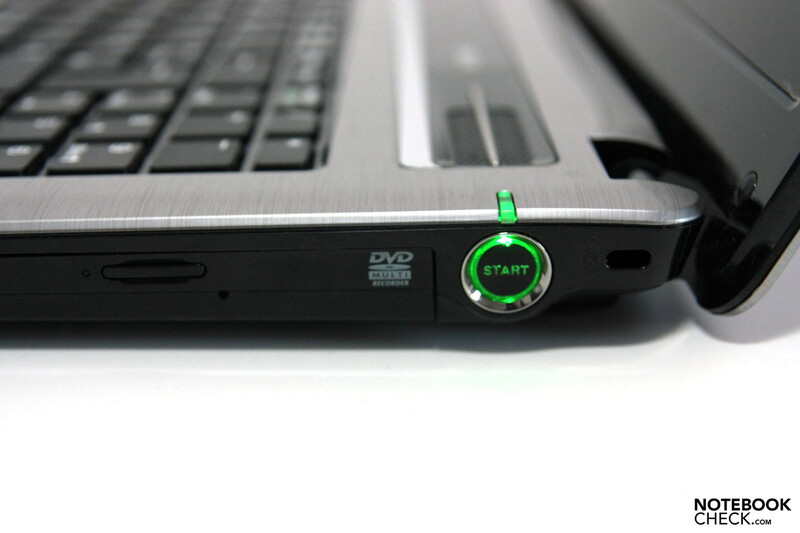 The cursor responds accurately to your movements on the touchpad. The left and right touchpad buttons are styled as a single rocker button. The rocker becomes tiring to use if you are moving a lot of objects on the screen with the left button held down. The resistance when you press feels a little too high during intensive use. For normal use, however, the touchpad is quite serviceable overall. 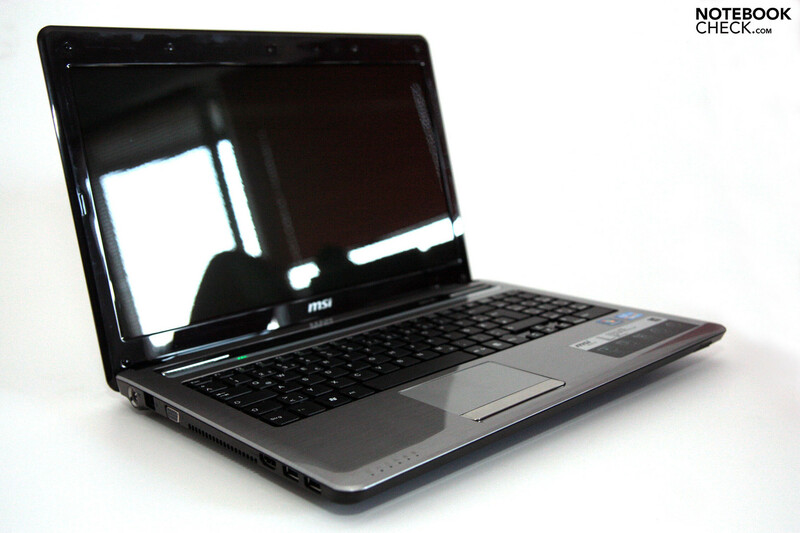 The HD-ready display of this MSI 6400 Ci507 S looks pretty grainy with a resolution of 1,366 x 768 pixels. However, the resolution is standard for 15.6-inch machines these days. The aspect ratio approaches 16:9, which should suit film fans. But the resolution is too low for you to work comfortably with multiple windows on-screen; we would recommend attaching a second monitor. Colours are not reproduced entirely convincingly on this screen, despite its being glossy. This is because of the high black level of 1.26 cdm/² at full brightness, and the poor contrast ratio of 189:1 that results. 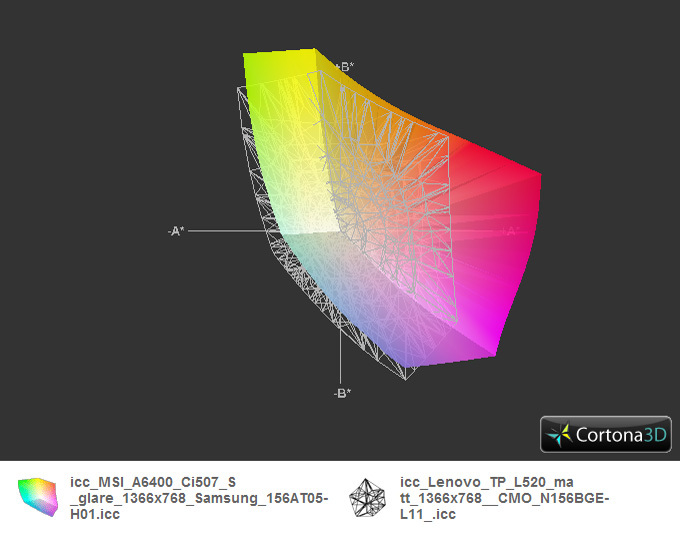 This puts the Samsung 156AT05-H01 panel on the same level as countless other average-quality screens. Black looks like it has a grey film over it during film sequences, and the colours lack vibrancy. In terms of colour space, the panel is on about the level you would expect for this price range, although a strong shift towards the reds is noticeable. However, this should not have any effect on the average user. The average brightness of 225.4 cd/m² is a good, acceptable value. Nevertheless, the reflective display earned itself a black mark when used outdoors at a café. A shady spot with no light source behind you is an absolute must. The distribution of brightness can still be called good at 84% uniformity, with no discernible haloing effect or uneven patches of light. The horizontal viewing angles are fine. From about 35 degrees onwards the colours start to invert and the screen grows darker. Vertically, the range of viewing angles is very small. 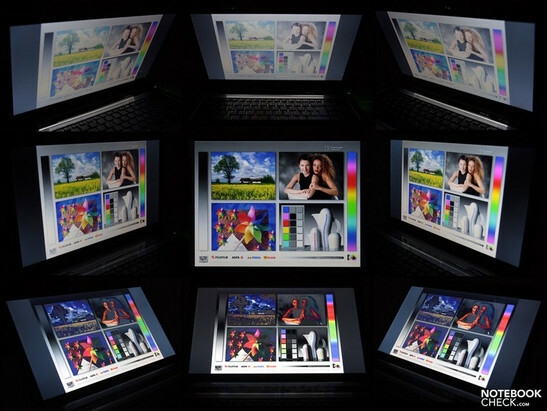 Even from a simple face-on perspective, you can already see differences in brightness and colour reproduction between the top and bottom of a photograph for example. Brightness and colours start to change from around 10 degrees onwards. 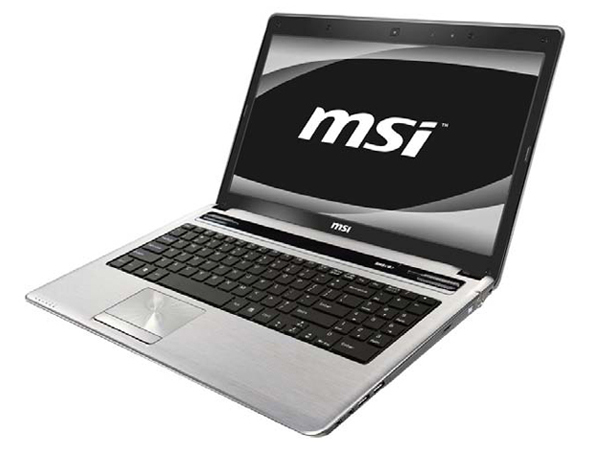 The 15.6-inch MSI notebook is equipped with an Intel Core i5-2410M (2x 2.3 GHz). The dual-core Core i5 CPU supports Turbo Boost up to 2.9 GHz and Hyperthreading (four threads). The chip’s TDP is 35 Watts. 10 Watts of that are used for the integrated Intel HD 3000 graphics and the memory controller. 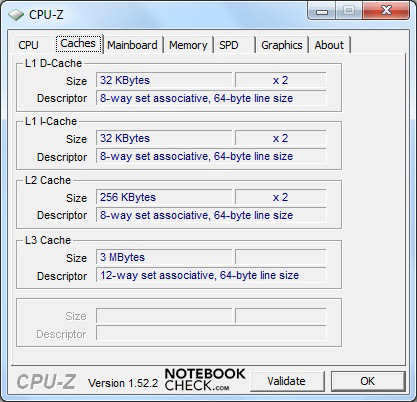 Unlike more expensive Core i5 models such as the i5-2520M, the i5-2410M has had its support for AES New Instructions (encoding and decoding), VT-d, and Trusted Execution deactivated. 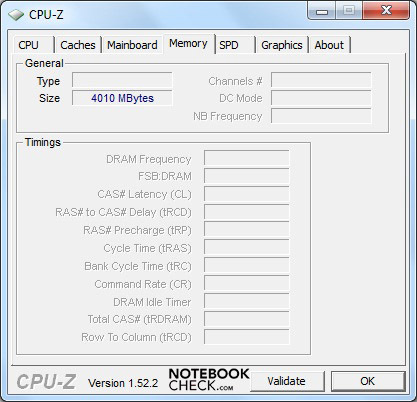 The notebook’s 4,096 MB of DDR3 RAM is sufficient. The hard drive is a 500 GB Hitachi HDD (HTS545025B9A300) with 5,400 rpm. The integrated Intel HD 3000 graphics is a low-performance GPU, designed to cope with basic tasks. Its great advantage is its low energy consumption because it is located on the main processor. This removes the need for additional cooling, as the processor’s cooling will handle it. The main activities that the integrated graphics card will be handling are office tasks or surfing the net. The card can at least partially cope with some newer games, but only when played on their lowest detail setting. In the 3DMark 06 graphics benchmark, our notebook’s results put it in the same ballpark as many other machines with HD 3000 graphics that we’ve already tested. 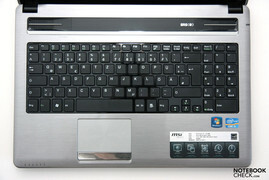 For example it is on a similar level to the Dell Inspiron 15R (N5110). Anyone put off by this weak gaming performance should look for a notebook with a dedicated graphics card. The MSI A6400-Ci507 currently has just one other variant, the MSI A6400-i303 S, available in German online stores; but this also has the HD 3000, with a weaker Core i3 2310 processor. In the PCMark Vantage test, the MSI A6400-Ci507 S scored a total of 6,056 points. This puts it somewhat above the Toshiba Tecra R850-11P, which has the same processor and graphics card but costs twice as much. 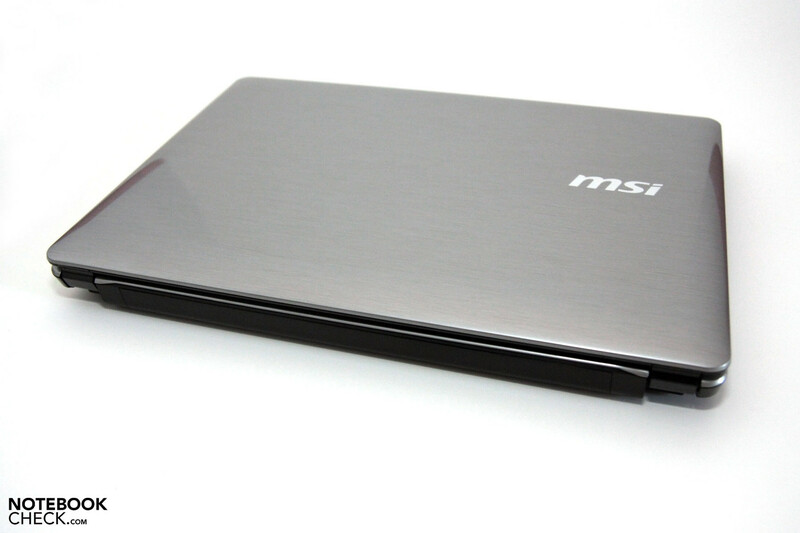 Overall the MSI laptop fared very well in the comparisons. 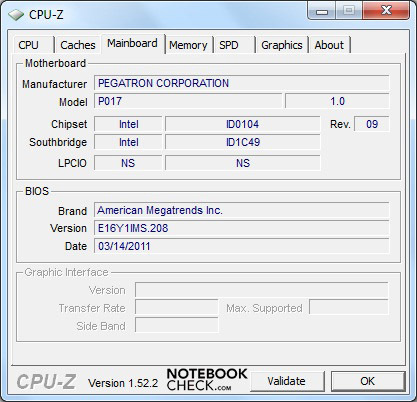 Notebooks achieving a similar total score like the Dell Inspiron 17R (N7110) or the MSI CX640-i547W7P have dedicated entry-level graphic cards. 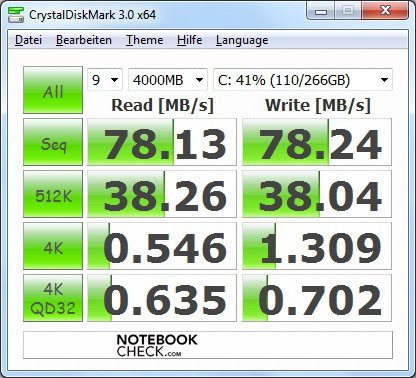 On the other hand the MSI notebook’s HDD score in the PCMark Vantage test places it in the middle portion of machines we’ve tested with Core i5 2410M. This probably means that the hard drive is the limiting factor in our review model’s system. The integrated mass storage device is a conventional Hitachi HTS545050B9A300 hard drive with a total capacity of 500 GB. It is a 2.5-inch drive with 5,400 rpm. It’s not one of the fastest models on the market, with an average transfer rate of 65.9 MB/s. The rather sluggish access time of 18.9 milliseconds confirms this impression. 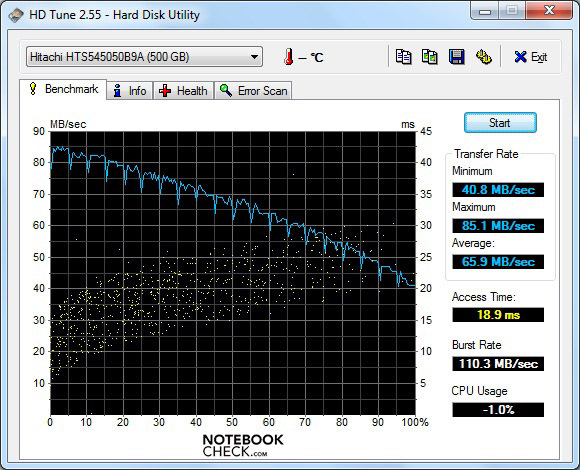 Overall the hard drive is average for a modern 2.5-inch hard drive. The integrated HD 3000 in our test model has been thoroughly tested many times already. Compared to the first generation Intel Graphics Media Accelerator (GMA) HD Graphics from 2010 the 3D performance has improved noticeably once again. Nevertheless, the Intel graphics card is still an entry-level card which allows you to play newer games on their lowest detail settings at best. You can see which games run on this graphics card in our comprehensive database, ‘Compuer Games on Laptop Graphics Cards’. A fan on the left side of the case is responsible for removing waste heat from the MSI A6400-Ci507. The fan sometimes stops moving when the computer isn’t doing anything. With light exertion such as surfing the net, the fan starts up at a low speed and is barely audible. With heavy use, the fan becomes more noticeable, producing a continuous, slightly high-frequency tone. Once the period of stress is over, the fan always returns very quickly to a lower speed. Even under full load, the noise was not irritating, or even very loud. With the notebook on idle in a quiet environment, all you hear is the hard drive spinning at 30.8 dB(A) and an inconspicuous murmur from the fan. Our measurements also speak in the MSI’s favour. 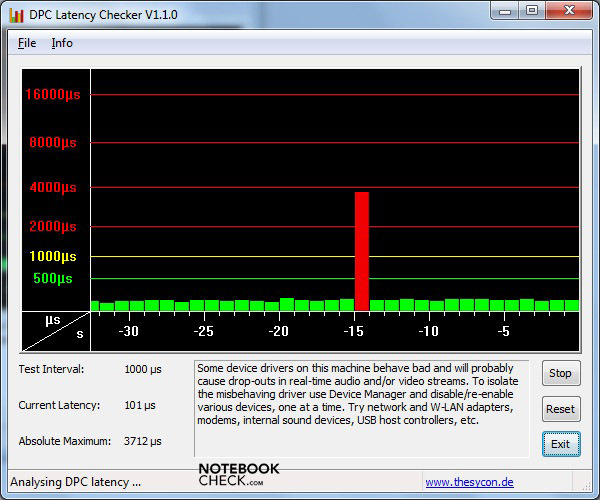 With the notebook in idle, our noise level monitor gave an average reading of 31.2 dB(A). It was slightly louder when playing a DVD, at 36.1 dB(A). Under heavy use it was different again; we measured a maximum of 43.2 dB(A), which is clearly audible. Very occasionally the fan reached a peak of 49 dB(A), which is very loud for a notebook, during the stress test (100% CPU and GPU usage with Prime95 and Furmark). But this is very unlikely to occur under normal circumstances. Usually the fan runs at a constant level under heavy use, producing the noise level previously stated. The MSI A6400-Ci507’s temperature management is exemplary. There is no problem having it on your lap. With heavy use, the temperature on the top of the base unit can rise to 32.5 degrees Celsius in the centre of the keyboard. On the bottom, the maximum is 36 degrees Celsius, also in the centre. The touchpad and the left side of the palm rest feel warmest under heavy use. But it is only a slight increase in temperature. 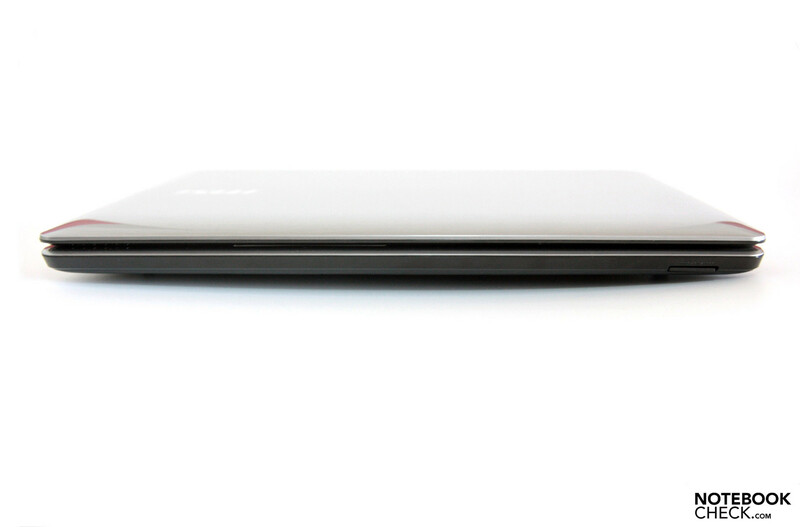 Overall the notebook doesn’t feel too hot to the touch or for your lap, even with full load. In idle the warmest point on the top side of the base unit is the left palm rest at 26 degrees Celsius; the processor is situated below it. On the underside, the maximum is 27 degrees in the area near the air vent. These are very good readings for the notebook. It is a result of the efficient cooling system, the lack of a powerful dedicated graphics card and also the Intel Core i5-2410M’s energy saving modes. (+) The maximum temperature on the upper side is 32.5 °C / 91 F, compared to the average of 33.9 °C / 93 F, ranging from 21.2 to 62.5 °C for the class Office. (+) The palmrests and touchpad are cooler than skin temperature with a maximum of 28.1 °C / 82.6 F and are therefore cool to the touch. (±) The average temperature of the palmrest area of similar devices was 28.2 °C / 82.8 F (+0.1 °C / 0.2 F). The notebook’s sound system consists of two speakers, equipped with SRS sound technology. 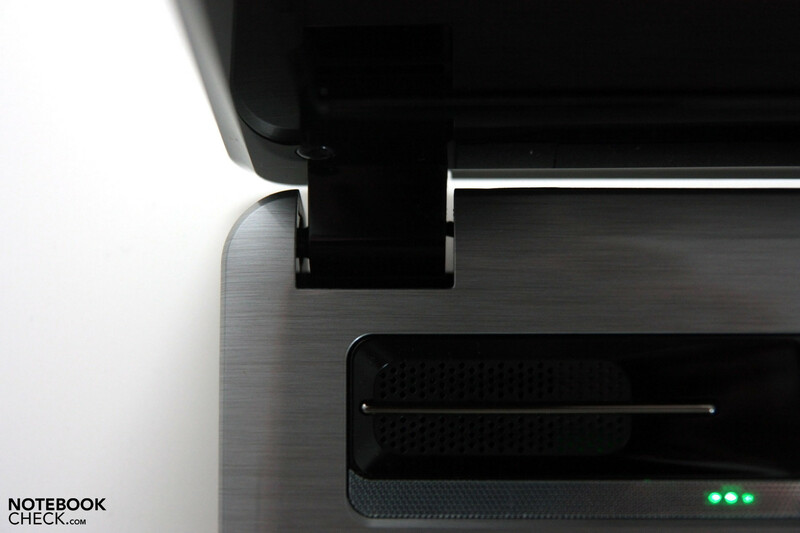 The bar along the top of the laptop, which hides the speakers under glossy black plastic and a thin strip of chrome, looks very smart. But the sound itself is not so attractive, at least to begin with. In their default state the speakers sound a little muffled and too heavy on the mid-tones. High tones and bass tones are somewhat lacking. You can improve the sound quality a little by adjusting the equalizers, using the SmartAudio software which controls the Conexant SmartAudio HD sound card. For example, the high and low tones are better represented when you use the ‘dance’ equalizer setting; the sound is relatively well balanced then. But there is virtually no bass because of the physical limitations of the laptop, and so despite the adjusted equalizers, our overall impression of the sound quality is still that it is dominated by mid-tones. The volume is sufficient for an office, and we were not able to overload the speakers or produce any crackling. As always we used the BatteryEater Pro program for our battery life tests. 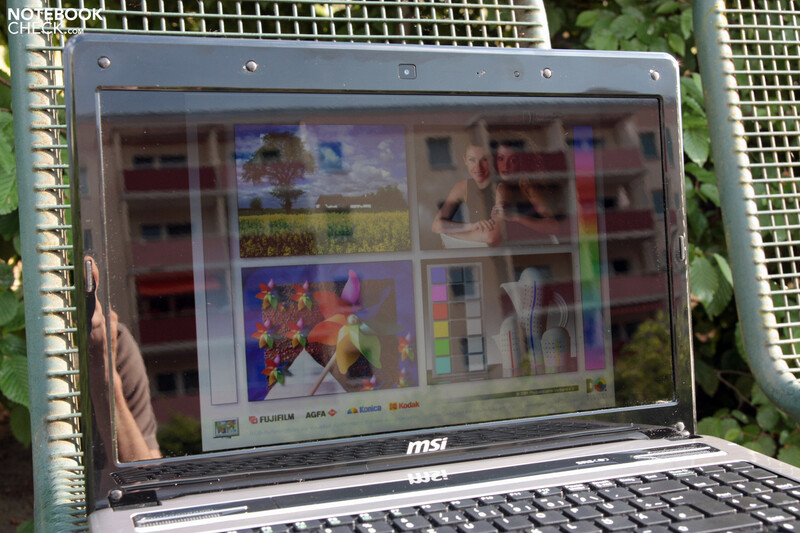 Its different test scenarios are used to simulate different types of use of the laptop. 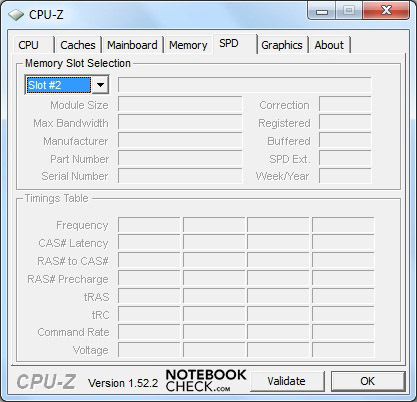 The Reader’s test simulates idle use; the MSI achieved a run time of almost five hours (4 hours 52 minutes). In the Classic test, which is supposed to simulate full system load, our review model managed a solid time of 1 hour and 25 minutes. Anyone wanting to watch DVDs on the MSI A6400-Ci507 S has 3 hours and 41 minutes to do so on battery life. You could watch two films back to back in that time. 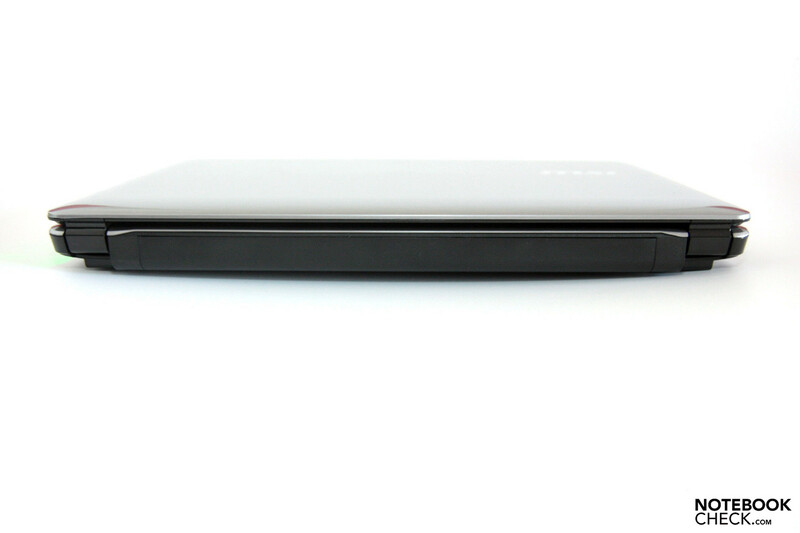 When surfing the web over wireless, the notebook reaches an acceptable time of 3 hours and 28 minutes. To recharge the battery fully from empty takes 1 hour and 27 minutes. The MSI A6400-Ci507 S is another notebook to benefit from the energy-saving technology of the latest second-generation Sandy Bridge processors. In idle the laptop uses only 6.5 - 11.8 Watts. 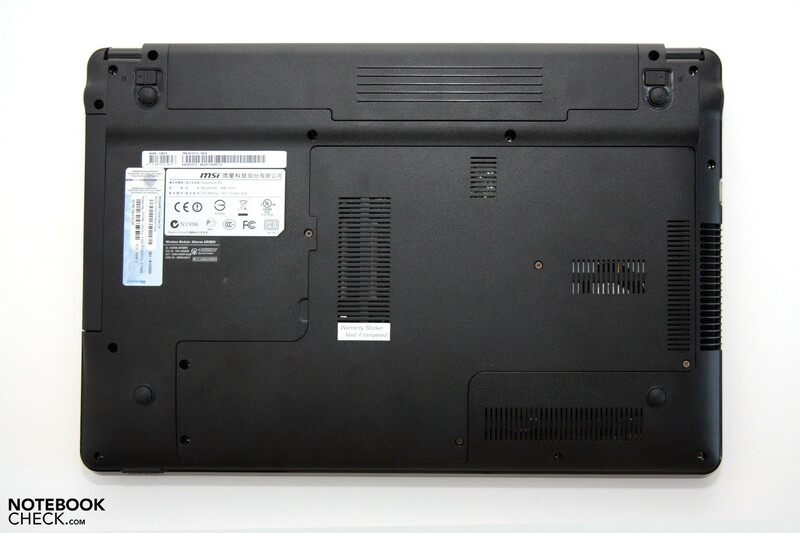 A machine with a similar consumption in idle is the Lenovo Thinkpad T420 4236-NGG for example. With heavy use the energy consumption rises to 55.6 Watts. That also explains the sharp reduction in battery life during heavy use. The MSI A6400-Ci507 S comes equipped with almost everything that the first-time buyer, office user or ordinary consumer could expect from such a reasonably priced laptop. Here is a short summary of its good and bad points. The wedge-shaped, slim case makes an excellent impression with its silver-coloured aluminium-look finish; but the glossy screen is not ideal in difficult lighting conditions. You can’t think of this model as a pure multimedia machine, because of the lack of dedicated graphics card, so it would have made more sense to have a matt screen. The user gets a lot for his money in terms of processing power and hardware. 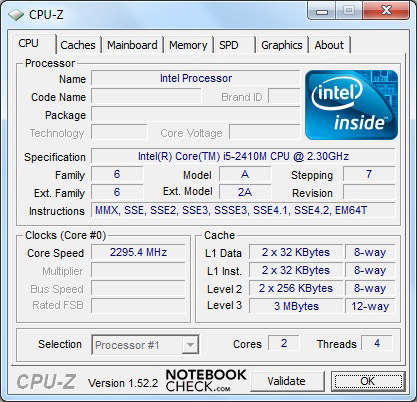 The Intel Core i5-2410M working away inside the machine is a fast mid-range processor. As well as the usual activities like internet surfing and office tasks, the processor is not defeated even by more demanding video clips. 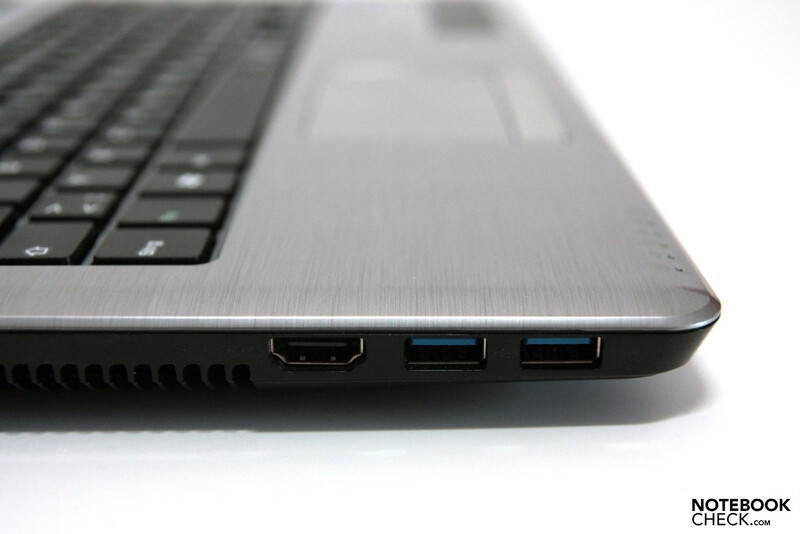 Four USB ports have been included, two of them USB 3.0. We were also impressed by the battery life which is quite decent for an entry-level notebook, though during web surfing it is no more than average for this class of machine. The case is also convincing, remaining very cool with heavy use. We were able to work with the MSI on our lap even under stress, without scorching our thighs. You can also say positive things about the fan. In idle mode it is quiet, and with moderately heavy use it’s still not too loud. 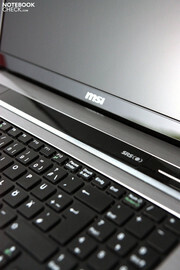 The keyboard and touchpad are also comfortable to use, though MSI could make some improvements to the touchpad. The single rocker button gets very tiring for the finger when you’re doing a lot of dragging and dropping, as you have to press relatively hard to do a left click. 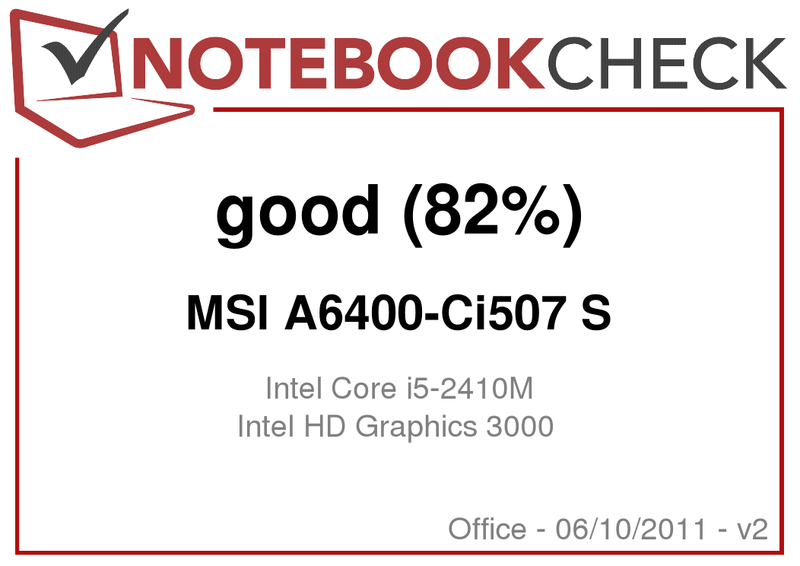 Overall the MSI A6400-Ci507 S is a good notebook for someone looking for reasonable performance, lots of ports and relatively long battery life, for a low price. If the glossy display and the somewhat cumbersome touchpad buttons don’t concern you, you should take a closer look. I was impressed by the quality the moment the notebook was delivered. 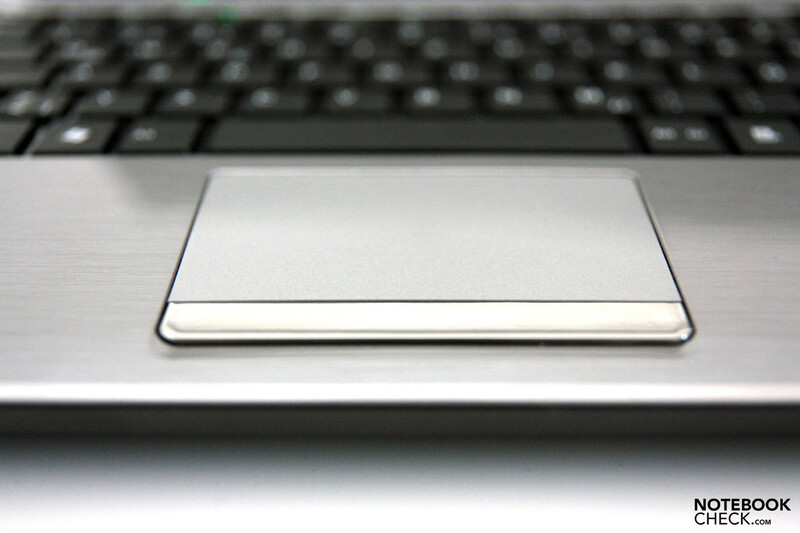 At first glance, you believe that the laptop is made of brushed aluminum. However, you see that it is only plastic at second glance. 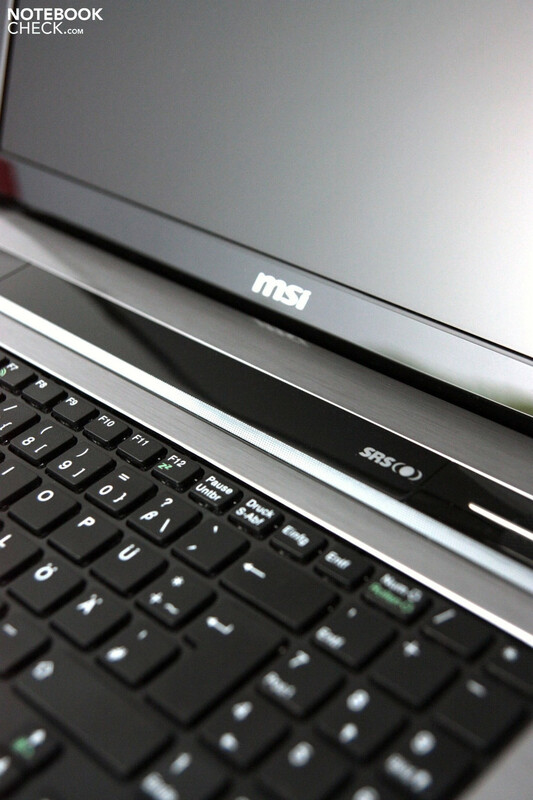 Nevertheless, the MSI's looks is great and seems high-end. Since I'm actually only used to 13" and smaller notebooks, 15.6" was quite a change. Anyway, I was very surprised about how light the notebook is despite its weight. I experienced the first disappointment when I opened it – a glare screen. Unfortunately, this kind of display is built into every consumer laptop, which especially has an impact on surfing or watching videos outdoors. If you are accustomed to a matt display, like I am, you are dazzled by the "great" colors at first. But you also quickly notice the drawbacks. You see almost nothing on the screen in direct sunlight. The resolution of 1366x768 is today's standard and could have a higher resolution in some situations. The keyboard with its numpad is well-conceived. The keystrokes are pleasant and pending calculations are facilitated by the numpad. MSI has done everything right here. The processor is a second generation Intel Core i5. It has a clock rate of 2.3 GHz and can clock up to a max of 2.0 with enabled Turbo. Therefore, you can activate additional computing power when required. The graphics unit, HD 3000, is incorporated into the new Sandy Bridge processors. Consequently, there's no need for an additional graphics card. The graphics card is fast enough for older games. But higher resolutions, detail levels, etc. aren't possible without causing major stuttering. The 4GB RAM is today's standard and the hard disk has a sufficient capacity with 500 GB, too. However, the configuration is overall average, but is more than enough for the normal user for mobile use. The laptop's sound quality and the general volume are good. You don't hear the laptop in office mode and the fan rotates, if at all, very quietly. You however start to hear the notebook in games, like StarCraft II. The speakers are good considering the conditions. However they are concentrated on trebles and have little bass. Overall, a very solid all-round notebook that can provide you with a lot of fun. 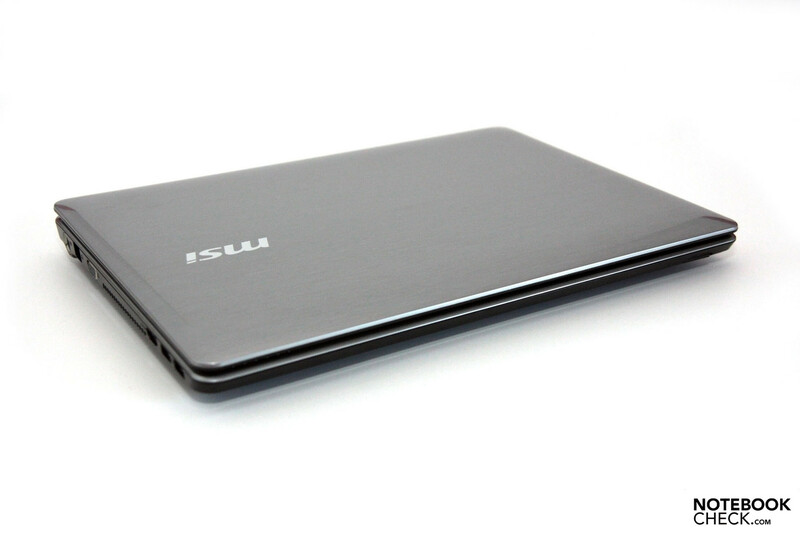 Both weight and the fairly long battery life, for a 15.6" notebook, speak for the MSI C. The looks also stand out from the gray mass of laptops at first glance. However, you can't expect to hold an aluminum notebook in your hands for this price. ...and is comfortable to use. The sound from the speakers is rather thin. A webcam and microphone built-in. is protected with a warranty seal. The RAM occupies two slots. The on/off button made into a feature. Tight hinges,but they allow some wobbling. with two USB 2.0s on the right. The mains adaptor is compact. The low temperature build-up on the case and the fan which was quiet in (almost) every situation. You also get four USBs, two of them in the latest 3.0 version - which is not yet standard for this price range. We also liked the decent performance of the processor. In a redesign we would like to see touchpad buttons that are easier to use, instead of the somewhat awkward rocker button. 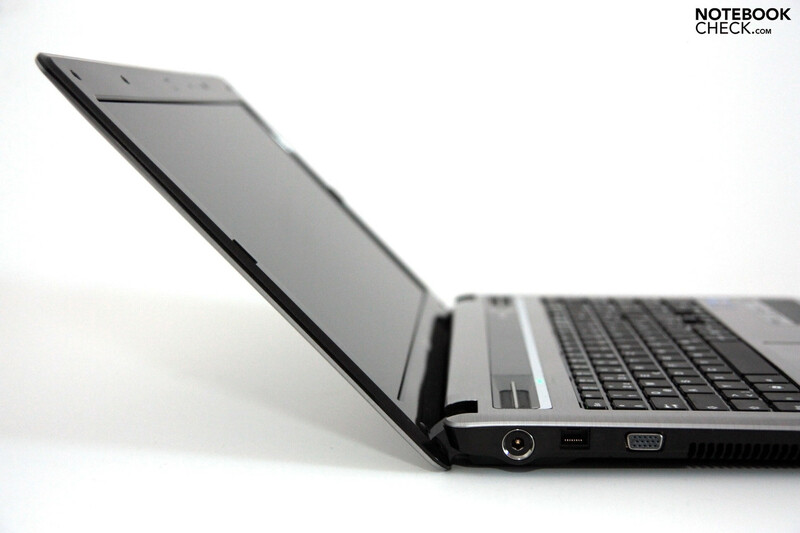 The design, which is elegant and very smart for a low-priced laptop. Other low-priced, entry-level, 15-inch office/ multimedia laptops of all brands. 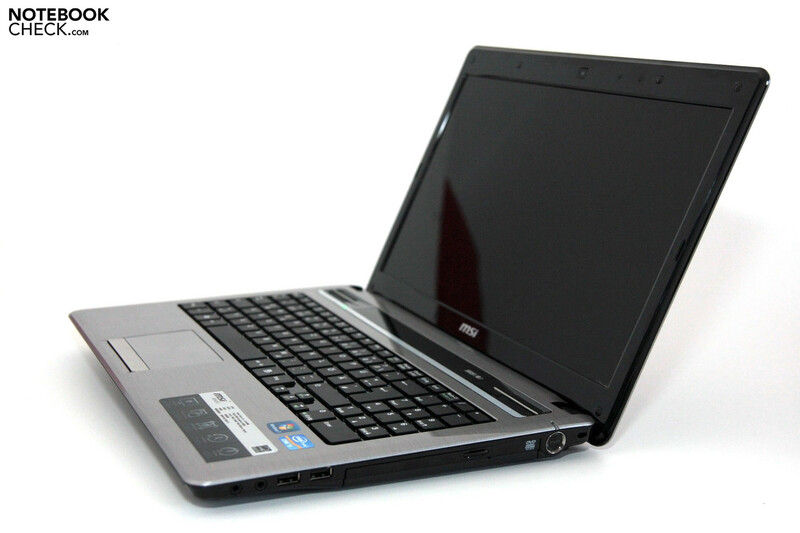 A machine with similar hardware is the Dell Inspiron 15R (N5110). 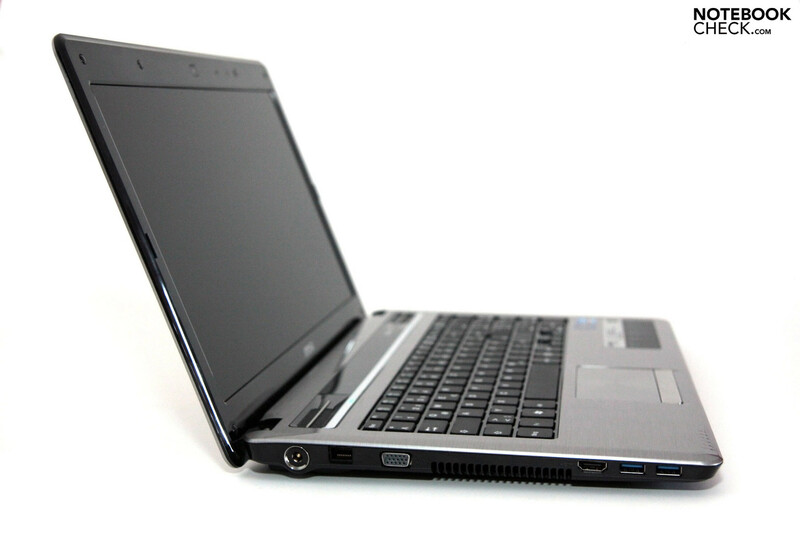 Other rivals at a similar price include the Schenker Xesia E510, the Sony Vaio EB3E, the Acer Aspire 5253, and the Samsung RC510.